This public school project aimed to redevelop the existing outdoor play space between Pre-School and Junior Primary Buildings based on play based learning theme. The design provides a framework for play which provides for exploration and discovery by stimulating the senses by touching, listening, seeing, tasting and motion. 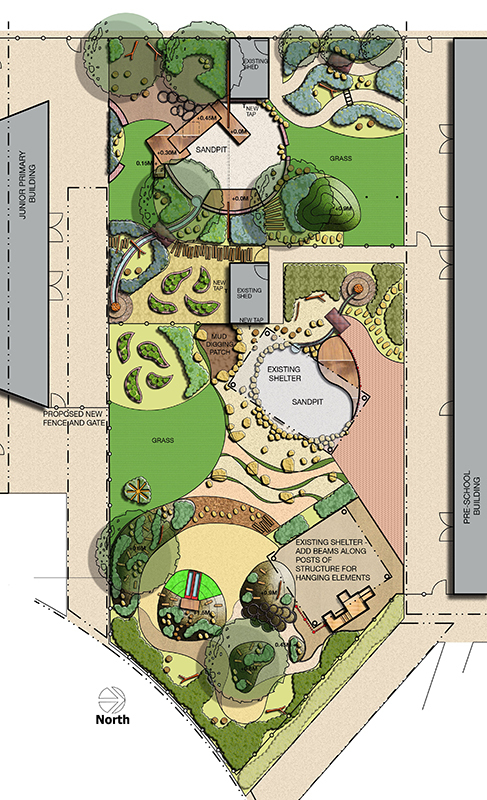 The idea is to create a nature play environment that is flexible and will enable the children to connect with and explore nature. Imaginative play opportunities include sandpits, mud kitchen and forest path. Outdoor story telling nooks, teaching areas, vegetable garden patch, and obstacle path provide for structured learning.